Have you heard about Farina and Grits especially if you are southern people and like Indian food too? These are kind of cereals for your breakfast with the addition of any other foods to make the taste is not boring. The main ingredients might be different since Grits is made by corn and Farina is made from wheat. So, what else you should know about Farina vs Grits? Check the article below. Farina comes in a form of milled wheat that usually used to prepare hot cereal for breakfast. The word “farina” itself is Latin language, it means for meal or flour. 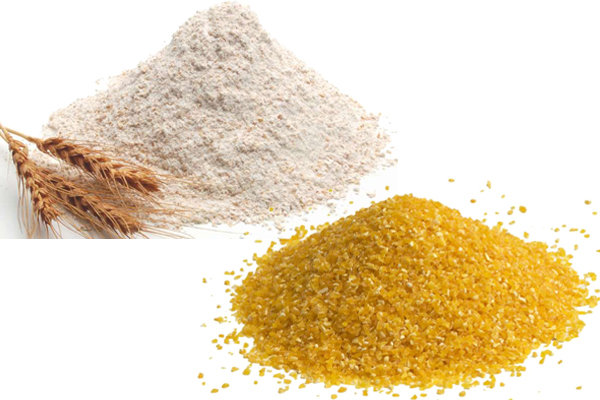 The germ and endosperm of the grain are the main ingredients, that is milled to a good granular consistency and sifted. There are results in a carbohydrate-rich food too. When it is enriched, it becomes one of the best sources of dietary iron available, especially for those who are vegetarian diets and with most brands offer for a 50% of the recommended daily value in a single 120-calorie serving. For commercial cereals, the total bran and the germ are removed. They are sometimes enriched with Vitamin B and iron. While, Cream of Wheat, Malt-O-Meal, and Farina Mills are popular with brand names of breakfast cereal. Since it has mild taste, the cereal is often added with brown sugar, maple, honey, nuts, cinnamon, butter, grated chocolate, jams, salt, fruits and combinations and variations of these flavours. Farina can also be cooked like polenta and farofa. After that it can be used to prevent dough from sticking for baking surfaces via the baking process, leaving residual farina on the bottom of the final product. Take a look : Farina vs Cream of Wheat. We think you must choose grits, although it also depends on what kind of grits are in front of you, means that the instant or quick-cooking grits will do good in a pinch with their best runny egg. The real grits are mighty tasty. They are certainly the most versatile. Side dish for dinner, breakfast, brunch; with cheese, butter, shrimp, bacon, gravy, etc. For farina, you can make farina dumplings for soup.